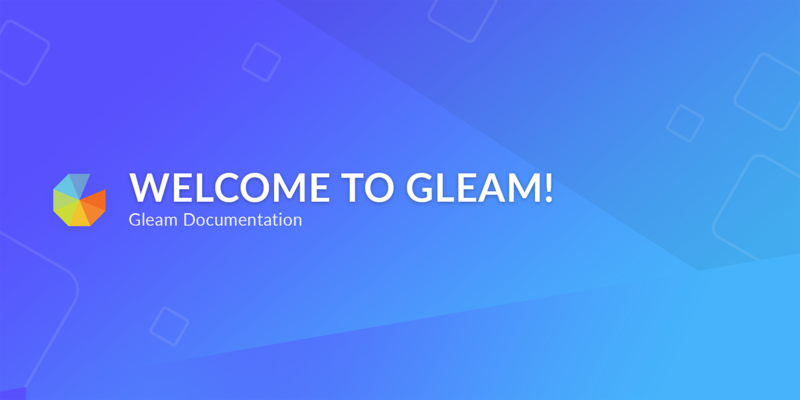 Welcome to the documentation area for Gleam, here you should be able to to find everything you need to know our platform inside out. We also recommending checking out our Guides if you're looking for a quick way to get started with each app. Gleam is an online application designed to help you drive more action & value out of your audience. We allow you to create complex campaigns that help you meet real business objectives. We have a constantly evolving set of products designed to help businesses increase user engagement. If you want access to all our apps you can buy the complete Package or buy them individually. Capture is a new app that allows you to grow your email list and capture emails from users on your site then send them straight to the email provider of your choice. We have 6+ beautiful templates to use and integrate with 25+ email providers. To learn more about this application please visit the the Capture documentation. Our competitions app allows you to create beautiful giveaways that drive real user action. Simply set it up, choose your prize, choose how you would like people to enter then deploy your competition to the location of your choice. To learn more about this application please visit the the Competitions documentation. Galleries is an app that allows you to show off user generated content from your customers or users in a responsive embeddable gallery. It syncs up with Competitions or Rewards, allows you to pull in images from #hashtags or from Facebook pages, or posts, plus you can let users vote or share submissions. To learn more about this application please visit the the Galleries documentation. Our rewards app allows you to reward users in various ways whilst still driving actions that benefit your business. You could giveaway a discount coupon, game keys, allow users to unlock a free sample or give access to a download. The best part is that you can choose how they unlock your reward. To learn more about this application please visit the the Rewards documentation.